They equal the record of points in a quarter in playoffs and finish with the greater annotation of the franchise in the post season. Simmons appeared (18 + 10 + 12). 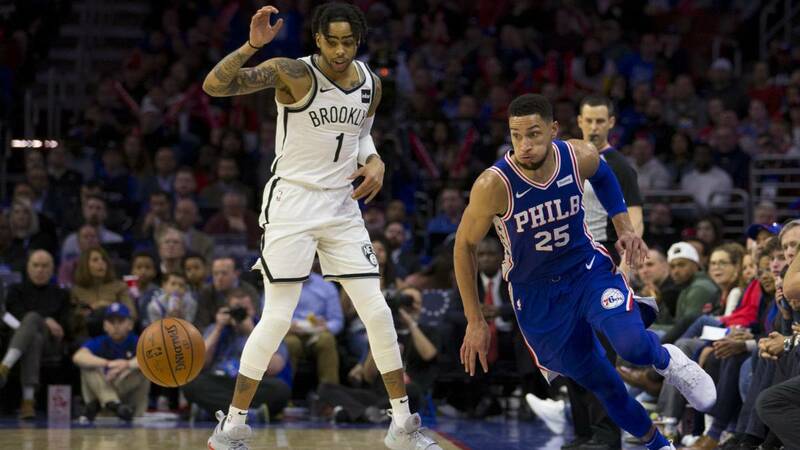 The Philadelphia 76ers changed by a quarter the bad feelings with which they finished the first match against the Nets. Apart from the defeat and the poor image of the team, there was also the mess of the mobile on the bench between Amir Johnson and Joel Embiid. All together left a feeling of poorly worked team and little united, but all that has lasted two days. This night they have reacted as expected of a supposed aspirant to the ring. And they did it even though the Nets were willing to take the second victory on the road and, until the break, it seemed possible. They went winning the Sixers by one to the dressing room, playing better than the first day, with Butler without doing heroics but with many players contributing. Especially Ben Simmons (18 + 10 + 12 + 2) , which had been in evidence in the first defeat. Yesterday it was again relevant, finding the spaces in transition, making the right decisions, combining perfectly with Embiid ( 23 + 10 in only 20 minutes) and showing a constant activity on both sides of the court that ended up blowing the mood that the team missed the other day. A performance that, without being out of series, if it is what is expected from the leader of a team. Dinwidie (19) and Russell (16) gave the reply, but in the third quarter a hurricane went over the Nets . 51 points scored by the Sixers in those 12 minutes, equaling the record of any team in a quarter in playoffs. Tobias Harris (19 + 5) was much more involved, Reddick (17) was released, Mike Scott (15) contributed and even Marjanovic (16 + 8) put them almost from anywhere. For the first time in a long time it was possible to see what these players are supposed to give of themselves in their best version. And there, no matter how well the Nets play, it does not come to them. What remains to be seen is whether the Sixers are able to maintain that form of play. Ese has been one of the great problems of this team throughout the season, the difficulty to gather good games, to achieve a good game streak. What tonight can be exceptional (the 145 points are the record of the franchise in qualifying) but the way forward is this. If they want to have something to say in these playoffs, they should not leave it.